Burj Al Arab hotel, Dubai, United Arab Emirates. Completed in 1999, this hotel rises to a height of 321 metres. 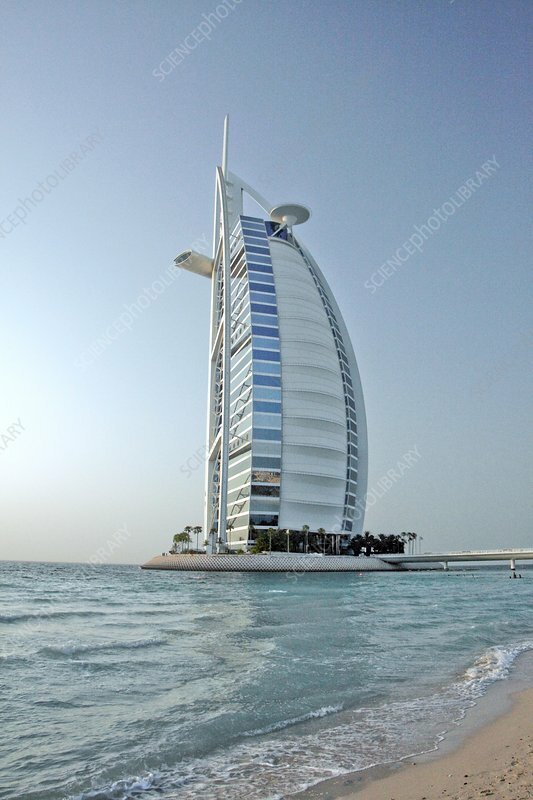 It is located on an artificial island off Dubai's Persian Gulf coast, connected by a bridge to Jumeirah beach. It has 60 floors, with the upper structures including a helipad (circular), and a sky-view restaurant and bar (horizontal, partially seen at upper left).